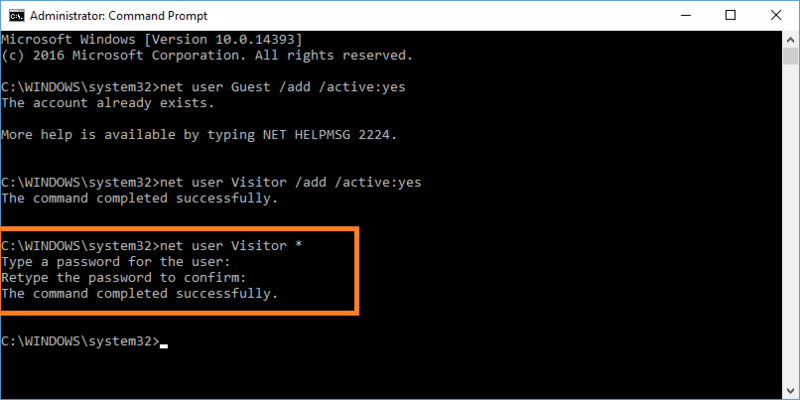 How To Add New Guest User in Windows 10? Wally’s Answer: The Windows guest login feature enables you to share your computer with others without compromising your privacy. 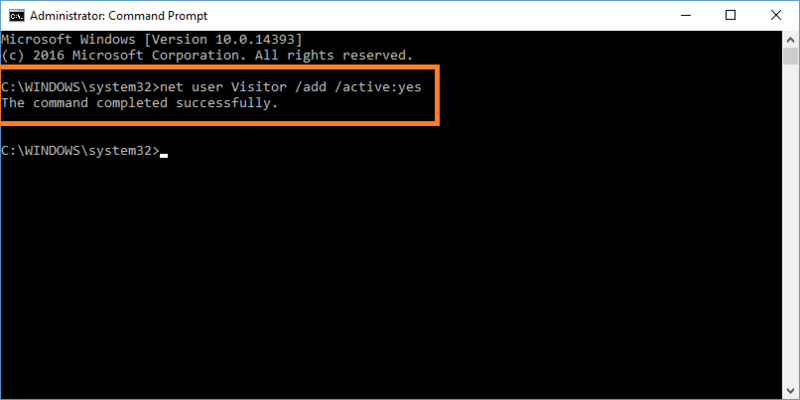 This blog post explains how to make a Guest / Visitor account in Windows 10. A Guest account enables you to let someone else use your computer. Users on a Guest account can’t see your private data. They also have limited privileges. Which means that they can’t install any programs or change system settings. There used to be a default Guest account that you could enable in Windows. However, this feature has now been removed and its options have also been taken out of the graphical interface. However, you can still make a guest account by entering commands in a Command Prompt. How To Make A Guest Account in Windows 10? Press the Windows Key + X and click Command Prompt (Admin). Click Yes if you see a confirmation box. and press Enter. It will ask you for a password. Just press Enter twice for a blank password. Otherwise, type your desired password and press Enter, type again to confirm. The “Visitor” account is a standard user account. However, we can limit it even more by deleting it from the localgroup and adding it to the guest group. Close the Command Prompt and you’re done. Congratulations!! You’ve just added a new user with Guest privileges. A new user called “Visitor” should now start appearing when you log out or when you’re about to log in. If you liked this post then please like our Facebook page for free tips. You can also message us and ask questions about your own computer issues for free!